Gruden deserved the extension. He coached the Redskins to their first back-to-back winning seasons in 24 years (even if those seasons were 9-7 and 8-7-1) and has overseen the development of Kirk Cousins, who might become the highest-paid player in NFL history in the next three months. But make no mistake: The extension is meaningless to the future of the franchise, nothing more than a diversion from the usual chaos and toxicity that surround Snyder and the team he’s run into the ground. 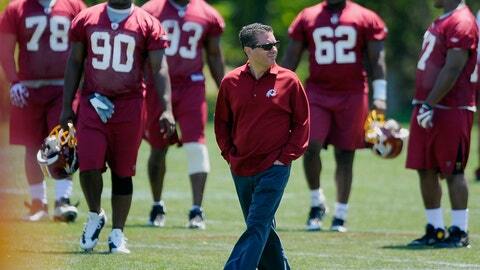 The Redskins, as usual, are dominating offseason news for all the wrong reasons. 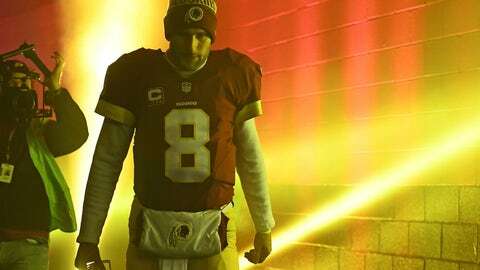 The team has ineptly botched its negotiations with Kirk Cousins, the team’s two big free agents are apparently gone (both are receivers, you do the math on how that’s going to affect the offense), and while whatever is happening in Scot McCloughan’s personal life is his business, we can say with certainty that the team’s best talent evaluator wasn’t at the best place to evaluate talent and, more important, appears to be a pawn in a power struggle that’s been brewing far before these past few weeks, with the two-headed monster of Dan Snyder and Bruce Allen on one side and McCloughan and good football sense on the other. The handshake extension between the Redskins and Gruden (which was made official Monday) happened at the Scouting Combine, an event that McCloughan didn’t attend. So why make it? Why extend Gruden when no one was particularly clamoring for it? Distraction perhaps? It’s a tried and true formula in Washington, used by presidents, Congress and litigious owners of once-proud football franchises. Create a ruckus over here so people will turn their attention away from the quagmire over there. In this case, the McCloughan absence and the ongoing Cousins mess, both of which create unrest at a time when a team needs to look as enticing and stable as possible, were eating up all the attention. So, why not give a coach an extension to provide the appearance of strength? The idea, I suppose, is that dedicating four more years to Gruden provides the security blanket that any player would need to sign in Washington, including an exclusively tagged quarterback from Michigan State with the initials KC. 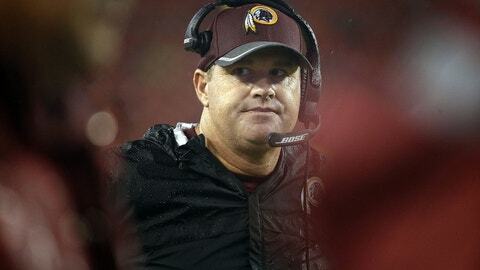 Signing Gruden makes the Redskins the the picture of steadiness. It’s almost laughable. Extending coaches for the sake of appearance is what colleges do to convince recruits to come play for them. In the pros it screams desperation. The media isn’t biting, the fans see right through it and players are above such amateurish stunts. Ordinarily this would be just another springtime decision in Washington, but there’s more to it. It’s a sense of desperation. And when the Washington Redskins, the poster children for disarray have to stoop to such levels, you know that the train, which derailed long ago, is on the verge careening down the mountain. No matter how mismanaged the Dan Snyder Redskins have been over the past two decades, players still have been willing to put on the burgundy and gold. Money talks, after all. It didn’t matter that Norv Turner was fired with the team above .500 and in the playoff hunt; that an effective Brad Johnson was benched for Jeff George on the say-so from you-know-who or that Marty Schottenheimer was fired after an 8-3 finish to his first season (and those were just Snyder’s first two years). The paycheck was enough to outweigh the circus. Giving Gruden this deal suggests the team is worried money may no longer do that. The bedlam of Washington has already had an effect on hiring coaches. After Joe Gibbs’ second stint, the team couldn’t get anyone of note and hired their offensive coordinator, who was a few weeks on the job after getting hired as a longtime quarterbacks coach. (Remember Jim Zorn? No? Neither do most people.) Mike Shanahan went to Washington for ego and money, probably in that order. Jay Gruden wasn’t the first, second or third choice. 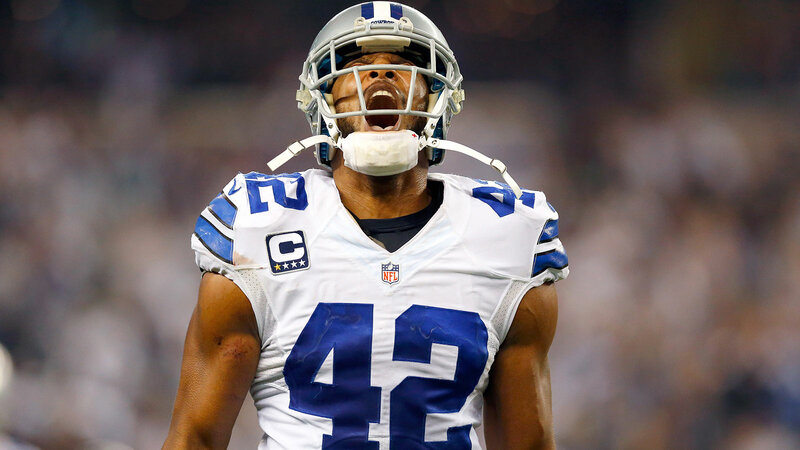 Players avoiding the Redskins would just be keeping up with the Joneses. If they get the idea that Washington is interchangeable from Cleveland or Jacksonville, the quality of player dips unless the quantity of money skyrockets. This is the umpteenth declaration that the times have been a-changin’ in Washington. The last came after the hire of McCloughan, a move that gave a jaded fan base a reason for actual hope. He was a real general manger, not the yes men who’ve had Snyder’s ear for years. McCloughan helped build championship teams in Seattle and San Francisco and would surely get the personnel power he needed without any interference from Bruce Allen, who’d settle into his role as a cheerleader in a $1,200 suit. It was only another mirage. 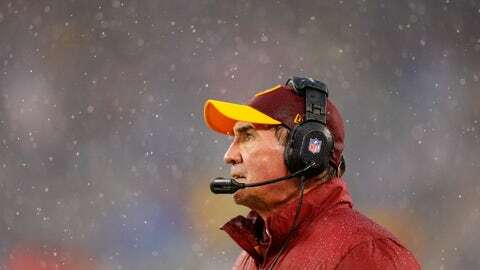 Petty resentments played out, there was bad blood stemming to the days of Mike Shanahan, and the team was run like everybody was upset that the franchise hadn’t been rebuilt 100 percent in their own image. How does a potential franchise quarterback get marginalized? Snyder didn’t originally want Cousins, McCloughan didn’t draft Cousins and Gruden didn’t choose Cousins. Never mind the only franchise quarterback Redskins Park has seen in the past 30 years is when Sonny Jurgensen would stop by. Ego trumps all and it may soon cost Washington its quarterback, not to mention its general manager — two guys who, as recently as three months ago were looked at as the brightest spots in two decades of football darkness. That’s why no one should treat this Gruden extension as anything more than a poorly constructed facade. 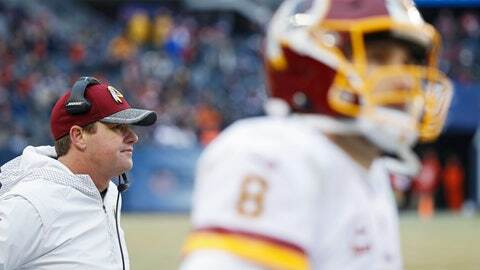 If Cousins doesn’t sign and DeSean Jackson and Pierre Garçon leave and Gruden’s playcalling can’t match up to what former offensive coordinator Sean McVay did, the coach will almost certainly be fired at the end of 2017 and the Redskins will have another eight-figure write-off for the ledgers. If there were Vegas odds for such things, the odds of Gruden getting fired in nine months would be far greater than him making it through 2020 – the end of his new deal. It’s the way Snyder rolls. When all else fails, throw money at the problem and hope it cures all.